Interesting setting and plot wasted with a lackluster resolution. 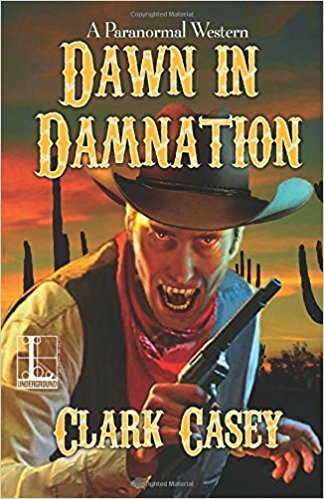 Dawn in Damnation opens in a western bar where a veteran resident is explaining how a newbie got there. Damnation is “hell’s sifter”. Those that have some redeeming qualities included in an evil life, go to Damnation to be judged. Those that kill a man, go straight to hell. Men who can avoid killing for a year might make it to heaven but no one has made it yet. The town, in perpetual dusk with an eerie sky, includes a “dead” vampire and a pack of dead werewolves. The setup for this plot is innovative. However, foreshadowed events go nowhere and the ending just dribbles to a close without resolution of any of the town or citizen’s issues or questions. Instead there is a preview of volume two of the series that seems to indicate the addition of more problems rather than a resolution of the current ones. There is nothing more frustrating than rushing to read a book to find out what happens–and then nothing is explained (heavy sigh). I can’t recommend this book even though I loved its innovation. 1 star. Thanks to the publisher, Lyrical Underground, and netgalley for an advanced review copy.